This map is the most up to date information supplied by groups themselves. Although every care is taken in the compiling of this information we cannot guarantee complete accuracy, since we rely heavily on groups to keep their details up to date. Some meetings may be ‘open’ (to non-alcoholic visitors) or ‘closed’ (for alcoholics & those who think they might have a drink problem) – all meetings will list details about this. All meetings are English speaking unless written in Chinese. 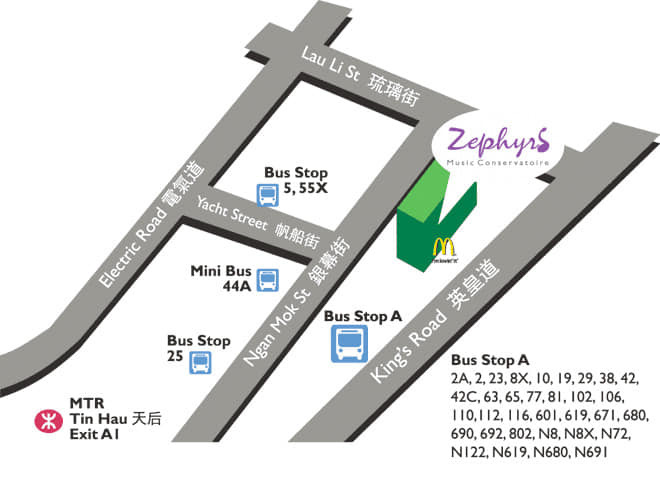 Specific: 4 Jordan Road, opposite Jordan MTR station (Exit B2). MTR: Jordan Contact: (852) 2578 9822 Open: Open A.A. meetings welcome the public (non-alcoholics) – along with alcoholics – to attend and learn about alcoholism, recovery and the A.A. Specific: 4 Jordan Road, opposite Jordan MTR station (Exit B2). Special: This meeting is in Cantonese. Specific: If you are coming by MTR get off at Sai Ying Pun and take exit A1 on Queens Road West. The first road on the left side is Wilmer Street. It is Building number 6 and it’s located on the 5th floor in room 505.
tue23apr7:45 am8:45 amTuesday – Step StudyThe Morning Group, Closed Meeting7:45 am - 8:45 am 37 Garden Road, Central area, Hong Kong Island. Special: On public holidays, TMG meets at 12 Borrett Rd at 7:45 a.m.
tue23apr1:00 pm2:00 pmTuesday – Step StudyThe Lunch Bunch, Closed Meeting1:00 pm - 2:00 pm 37 Garden Road, Central area, Hong Kong Island. Attention: on public holidays, the meeting will be held at Starbucks (details below). 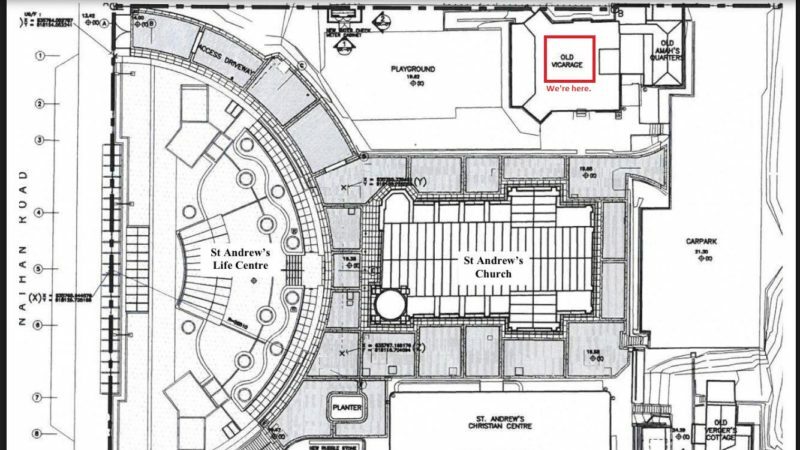 As St. Andrew’s Church is closed on public holidays, the meeting will be held at Starbucks around the corner. Directions: To access via MTR, take a left out of Jordan station MTR along Nathan Road. At the first traffic lights cross Austin Road and take a left along Austin Road. Walk around 30m and Starbucks is on the right. wed24apr7:45 am8:45 amWednesday – Step / Tradition StudyThe Morning Group, Closed Meeting7:45 am - 8:45 am 37 Garden Road, Central area, Hong Kong Island. wed24apr1:00 pm2:00 pmWednesday – Big Book StudyThe Lunch Bunch, Closed Meeting1:00 pm - 2:00 pm 37 Garden Road, Central area, Hong Kong Island. Specific: Stanley is 16 km south of Central. Taxi: The fastest (but most expensive) way to get there. Express Bus: No. 260 express bus to Stanley from Exchange Square (across the street from Jardine House, Central). Alight at HK Sea School (one stop after Stanley Village/Beach Road). Specific: 3 minutes walk from Tin Hau MTR Stop, Exit A1, towards McDonald’s. The gate of King’s Commercial Center is on Ngan Mok street, next to Pacific Coffee. MTR: Exit A1, Tin Hau MTR. Special: It’s mainly an English meeting, but Cantonese and Mandarin speakers are welcome too. Specific: Please ring the contact below if you need directions. The full address is Coastal Skyline Club House, 12 Tung Chung Waterfront Rd, Tung Chung. Once you have arrived tell security you are attending the Sunset Peak Society Book Study Meeting. MTR: Tung Chung (Exit D). Please ring for directions. thu25apr7:45 am8:45 amThursday – Big Book StudyThe Morning Group, Closed Meeting7:45 am - 8:45 am 37 Garden Road, Central area, Hong Kong Island. Special: On public holidays that fall only on a Thursday, TMG meets at Borrett Rd at 8:15 a.m.
thu25apr1:00 pm2:00 pmThursday – 11th Step StudyThe Lunch Bunch, Closed Meeting1:00 pm - 2:00 pm 37 Garden Road, Central area, Hong Kong Island. Format: This is a Speaker Meeting. Open: Open A.A. meetings welcome the public (non-alcoholics) – along with LGBT+ alcoholics – to attend and learn about alcoholism, recovery and the A.A. program. fri26apr7:45 am8:45 amFriday – Grapevine / SpeakerThe Morning Group, Open Meeting7:45 am - 8:45 am 37 Garden Road, Central area, Hong Kong Island. Format: Each week is a ‘topic’ meeting with a reading from Grapevine except on the last Friday of each month, which is a ‘speaker’s identification’ meeting. fri26apr1:00 pm2:00 pmFriday – SpeakerThe Lunch Bunch, Open Meeting1:00 pm - 2:00 pm 37 Garden Road, Central area, Hong Kong Island. 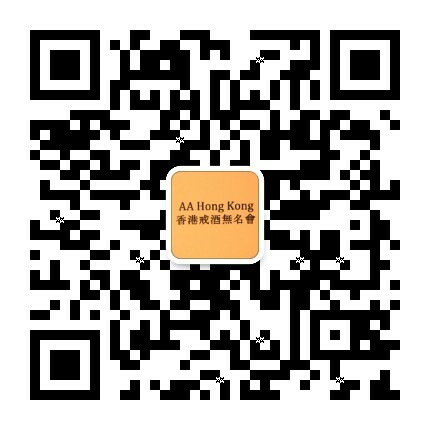 Full Address: Room 501 (Studio), 5/F, 6 Wilmer Street, Sai Ying Pun, Hong Kong. Directions: Sai Ying Pun MTR Exit A1, turn left and your first left onto Wilmer street. Specific: Located in the hills above Central, Hong Kong Island. When driving up Borrett Road, no.12 is the large red-brick building on the left (see photo above). The A.A. entrance has a small flight of steps and can be identified by a small white plaque with a black circle and triangle– meetings are on the ground floor. Specific: Ferries takes 25 min and leave from Pier 4 in front of the IFC in Central. Take the right-side ferry to Yung Shue Wan. Ferries are every 30 min on Sunday mornings. The venue is hard to find, so please call us upon arrival and we’ll guide you in from HSBC Bank on Yung Shue Wan Main Street. MTR: Central station, change for ferry to Lamma Island. mon29apr7:45 am8:45 amMonday – BeginnerThe Morning Group, Open Meeting7:45 am - 8:45 am 37 Garden Road, Central area, Hong Kong Island. mon29apr1:00 pm2:00 pmMonday – Rotating Format (Men only)The Lunch Bunch, Closed Meeting1:00 pm - 2:00 pm 37 Garden Road, Central area, Hong Kong Island. mon29apr1:00 pm2:00 pmMonday – Rotating Format (Women only)Step Sisters, Closed Meeting1:00 pm - 2:00 pm 37 Garden Road, Central area, Hong Kong Island. Specific: Located in the hills above Central, Hong Kong Island. When driving up Borrett Road, no.12 is the large red-brick building on the left (see photo above). The A.A. entrance has a small flight of steps and can be identified by a small white plaque with a black circle and triangle – meetings are on the ground floor, the small room to the right across the pantry. Special: The meeting is in French. tue30apr7:45 am8:45 amTuesday – Step StudyThe Morning Group, Closed Meeting7:45 am - 8:45 am 37 Garden Road, Central area, Hong Kong Island. tue30apr1:00 pm2:00 pmTuesday – Step StudyThe Lunch Bunch, Closed Meeting1:00 pm - 2:00 pm 37 Garden Road, Central area, Hong Kong Island.